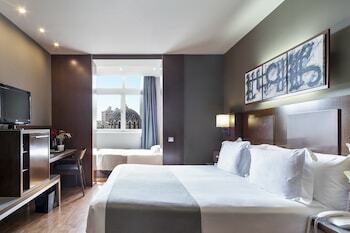 A stay at Acta Atrium Palace places you in the heart of Barcelona, within a 10-minute walk of Casa Batllo and Palau de la Musica Catalana. Featured amenities include a business center, complimentary newspapers in the lobby, and dry cleaning/laundry services. With a stay at this apartment in Lloret de Mar, you'll be by the sea, within a 10-minute drive of Lloret de Mar Beach and Gnomo Park. The front desk is staffed during limited hours.